James Gordon has been in the lath & stucco business since 1981. On November 26, 1985 he started Quality Stucco Corporation A.C.C. 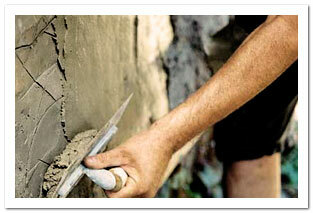 Quality Stucco has grown to a very dependable company providing prompt, high-quality work for more than 28 years. We have thrived on word of mouth advertising since day one and have great reputation for our work, our honesty, and our expertise. The strength of our company is our ethical, hard working culture. Our employees and contractors have been with us for many years. They are the cream of the crop, hard working and honest. We stand behind our work. Our warranted service has no equal. There may be other companies sell cheaper work, but there are none that provide a better value or higher quality than Quality Stucco Corp.
We will go anywhere in Arizona. We follow the work wherever it takes us. We are experts in New Construction & Remodel work & repairs. To learn more about Quality Stucco please contact us.